Global Travel Media » Blog Archive » Rascal Republic A Dynamic Portfolio of Experiential Investments. Rascal Republic A Dynamic Portfolio of Experiential Investments. Introducing Rascal Republic, pioneers of experiential investment. Presenting dynamic investment opportunities in both luxury sea voyages and eclectic land ventures, Rascal Republic is a portfolio of development opportunities that offer both financial and lifestyle return. From Singapore’s breathtaking 1-Altitude rooftop bar to iconic luxury yacht Rascal, existing projects span the yachting, travel & tourism, hotel & real estate, food & beverage and blockchain sectors – and have now been united under one parent company, Rascal Republic. Rascal Voyages: carving a niche in the luxury hospitality industry, Rascal is the most talked about luxury Phinisi yacht, offering bespoke voyages through the Indonesian archipelago. Committed to protecting the seas its cruises, Rascal Voyages create in order to conserve, and the fleet is now expanding. Soon, new Rascal yachts will serve the Indian Ocean and the Gulf of Thailand, with unique itineraries around The Maldives and Cambodia. Rascal Ventures: Rascal Ventures was a Founding Partner of 1-Altitude and Dallas Bar Marina Bay Sands Singapore, from the sourcing and negotiation of the commercial lease, throughout the venue development and into general operations. Changing the way people invest, Rascal Ventures is also a Founding Partner and Master Franchise of an F&B franchise in Australia, and has a track record of high yield property investments in the UK. Rascal Developments: the construction arm of Rascal Republic, Rascal Developments spearheaded the build of Rascal – the maiden yacht of the Rascal Voyages fleet – and is currently building two new yachts. 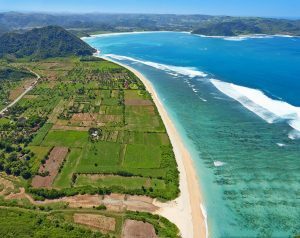 The team has also overseen major infrastructure developments across Indonesia, and is now working on a major villa development project in South Lombok, which includes a 75 key hotel, 120 villas, and a beach club. Rascal Digital: A fresh approach to investing, Rascal Digital offers strategy, implementation, optimisation and training across multi-channel marketing to increase visibility and traffic for all Rascal Republic brands and third-party clients.